We'd like to welcome Craig and Sue to our community. Craig is a graduate of the University of Massachusetts - Amherst and is an Assistant Vice President with American International Group (AIG) in Boston having had various responsibilities over the last ten years. Susan is a graduate of both the University of Rhode Island and the Massachusetts College of Pharmacy and is a pharmacist providing consulting services to several nursing home facilities in Southeastern, MA, Cape Cod and Nantucket. Craig and Sue both grew up in Western Massachusetts and later moved the Boston area for both educational and career pursuits. They reside in Plymouth, MA with their three year old yellow Labrador retriever, Fenway (hmm, do you think they're Red Sox fans?). Their interests include travel, the outdoors, exercise and most importantly being near the ocean. They love the beach and wish they could snorkel and play golf a lot more than they do. 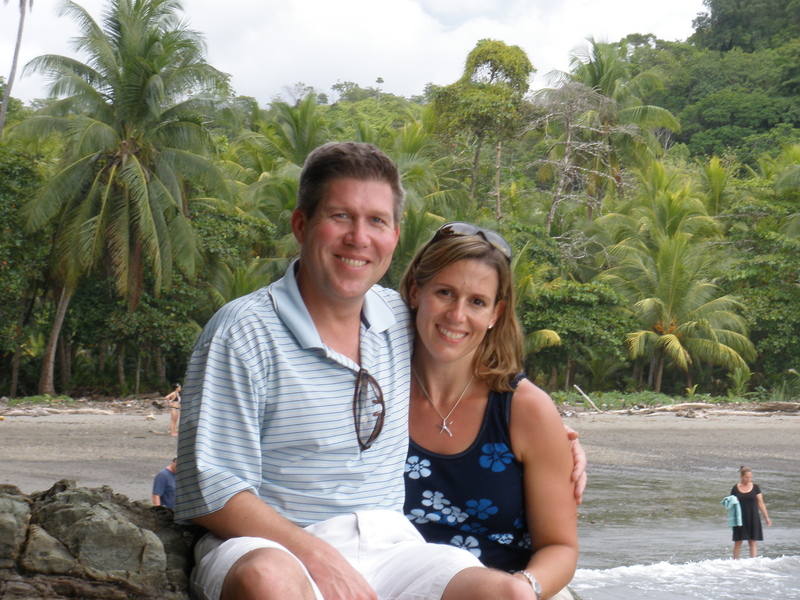 Craig and Sue immediately fell in love with Costa Rica and are looking very forward to their future trips to take in more of it's beauty, culture and most importantly, meet and spend time with their new neighbors. They can't wait to take it all in.